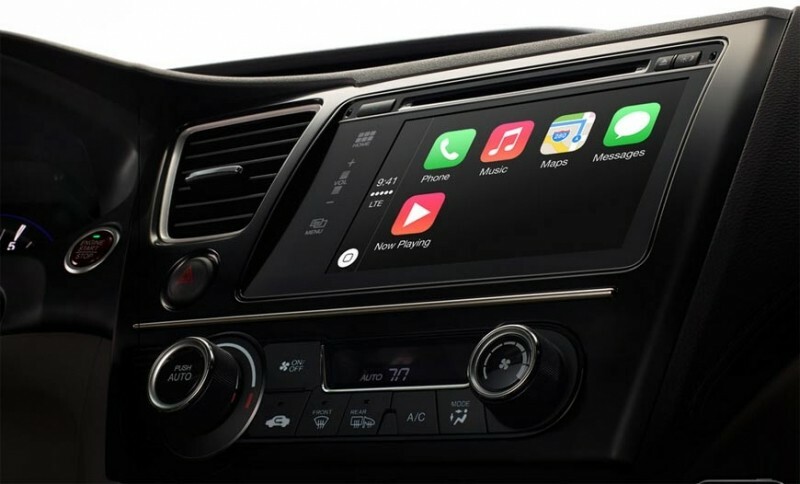 Apple unveils CarPlay, calls it "the best iPhone experience on four wheels"
Today at the Geneva Motor Show Apple unveiled a new service that aims to provide better connectivity between the car and the driver's iPhone. Dubbed CarPlay, the service allows drivers to make calls, access contacts, use maps, listen to music, and more, without taking their hands from the steering wheel. Ferrari, Mercedes-Benz, and Volvo are showcasing the service at Geneva this week with CarPlay-enabled vehicles shipping this same month. “iPhone users always want their content at their fingertips and CarPlay lets drivers use their iPhone in the car with minimized distraction", said Greg Joswiak, Apple’s vice president of iPhone and iOS Product Marketing. Drivers can read messages and dictate responses through Apple's voice-activated Siri software, which is activated by pressing the voice control button on the car's steering wheel. The service can also predict destinations based upon addresses found in your email, texts, contacts, and calendars. The service also allows you to play music through the car's speakers. Besides iTunes Radio, you can also access a number of third-party music-streaming apps including Spotify, Stitcher, iHeartRadio, and Beats Radio. You can also control CarPlay from the car’s native interface. According to Apple, in addition to the three car companies aforementioned BMW, Ford, General Motors, Honda, Hyundai, Jaguar, Land Rover, Kia, Mitsubishi, Nissan, Peugeot, Citroën, Subaru, Suzuki and Toyota will also integrate the service "down the road." The CarPlay service is available as an update to iOS 7 and works with Lightning-enabled iPhones including iPhone 5s, iPhone 5c, and iPhone 5.